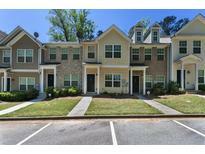 Find Lilburn, GA Homes for sale. View Photos, Maps and MLS Data Now! Westchester - Outside Shop Is Perfect For Projects. MLS#8565521. Southern Real Estate Services. Low Hoa Fee ($150/Month) Include Water/Sewer,Lawncare & Trash MLS#6537734. Engel & Volkers Buckhead Atlanta. This Charming Townhome Will Not Last Long! Refrigerator Remains. MLS#6535112. America Realty Center, Inc.. Recent Upgrades Includes New 50 Ft X 20 Ft Deck, New Interior Paint, New Water Heater, New Appliances, Granite Counter Tops, And New Flooring. MLS#8552863. Virtual Properties Realty.Com. 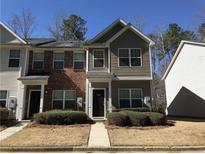 Garner Creek At Parkview - Easy Access To Downtown. Realtors Welcome. MLS#8549879. 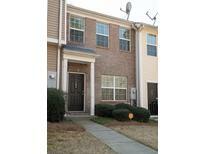 Listwithfreedom.Com Inc.
Don'T Miss Out On This Nice Townhome! MLS#6522705. Bhgre Metro Brokers. Mountain Villa - La Fitness And Many National Chain Retailers/Restaurant MLS#8547085. Maxima Realty. Flat, Peaceful, Yard With Fire Pit On Over An Acre Is Perfect For Welcoming Friends And Hosting Celebrations. 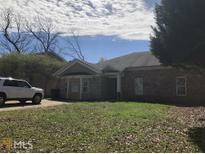 MLS#8545257. Your Home Sold Guaranteed Rlty. Open Living Place With Plenty Of Room For Entertaining! MLS#8541753. Re/Max Metro Atlanta Cityside. Pictures Are The Model'S Photos. MLS#6517635. Virtual Properties Realty.Com. 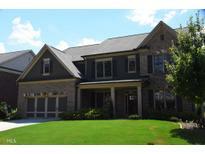 Creekside Manor - This Move In Ready Home Won'T Last Long. Make An Offer Today! MLS#6517836. Maximum One Realtor Partners. Four Winds - This House Screams Designer And Will Reflect The Personality And Taste Of Those Accustomed To The MLS#8528781. Listwithfreedom.Com Inc.
Conv To Shops & Dining, Parks. I-85/285 MLS#6506312. Virtual Properties Realty.Com. Creekside Manor - This Is A Must See Sub Division Is Not Fha Approved At This Time MLS#6502101. Solid Source Realty, Inc..
Eat In Kitchen, Separate Living Room And Dining Room. A Fantastic Investment! MLS#8499428. Desari Jabbar Realty Group Llc. Don'T Let This One Pass You By! 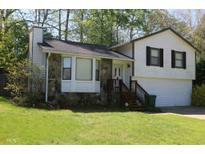 MLS#8492542. Carousel Properties, Llc. Stone Fireplace And Wet Bar In Vaulted Great Room. Renovated Bathrooms. Private Backyard. MLS#8492785. Integrity One Realty, Llc. Estates At Nash Lake - This Home Is Situated For An Easy Commute And Is Close To Shopping, Restaurants, Parks, And Schools! MLS#8482694. Keller Williams Rlty Atl. Part. Lanford Estates - Please Show And Send An Offer Seller Are Very Motivated. MLS#8438385. Perfect Option Realty, Llc. One Side Of The House Is Rented For $700 Per Month. 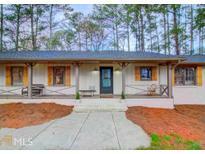 MLS#7570467. Virtual Properties Realty.Com. Cherokee Woods - Brick Traditional Home, Hardwood Floors On Main, Solid Surface Countertops, New Paint, Large Fenced Yard, Park Like Setting, Walk To Schools. 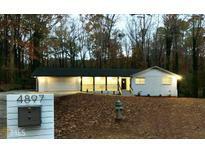 MLS#3129610. Realty Smart, Llc.